The Upstairs Burned formed a cold night in December 1981 when they shut down an open-mic night in a Flint MI club. Kenny Roberts and Mark Gordon Brown were living at the Avon House, one of the epicenters of new music in Flint. Besides The Upstairs Burned, local groups Dissonance and Godspeed (among others) formed from residents of the Avon House. Thirty five years later the collaboration continues with Mangling the Beast. Surrealism with Wandelweiser sensibilities, Rene Char's poem La Bête Innommable is transformed into a ritual of katabasis and anabasis to get past the shackles of post-modernism cleansing. 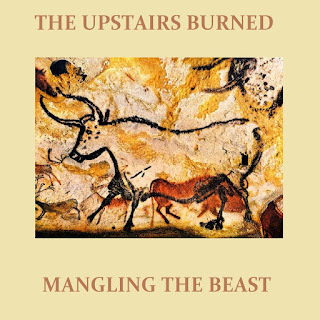 Mangling the Beast conquers time and space to create a new paradigm.